The proximal and distal radioulnar joints allow the forearm to rotate in pronosupination, which twists the plane running the length of the forearm through the two bones roughly perpendicular to the longitudinal axis of the forearm but constrained to the ulna, which does not itself rotate. The forearm bones are normally matched in length and are stabilized by interosseous ligaments in the mid forearm as well as capsuloligamentous complexes at each end. 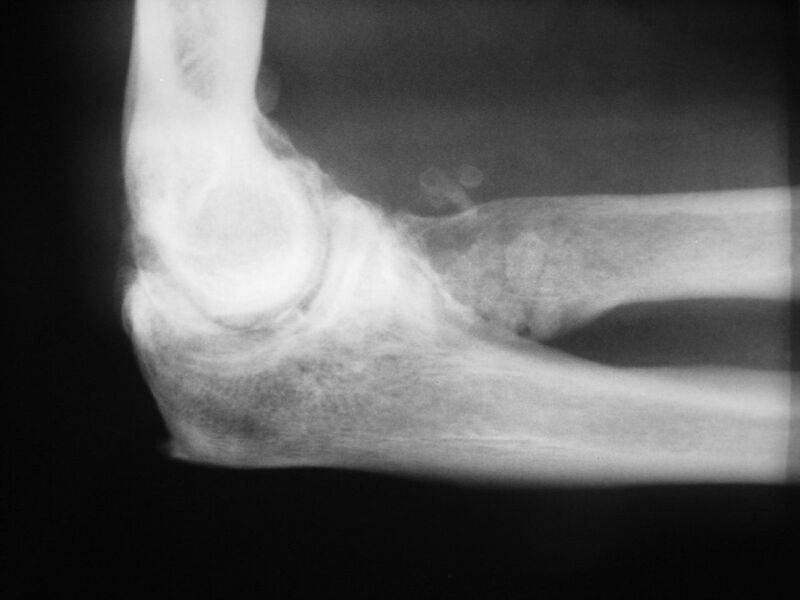 Disruption of this length relationship places abnormal load and results in degenerative changes at the proximal, distal or both radioulnar joints, as demonstrated by the following two patients. 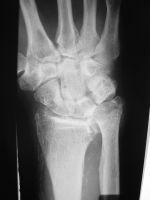 The two current treatment options for these patients are either reconstruction of the forearm interosseous membrane, which is unpredictable, or conversion to a one bone forearm, which would limit function by losing forearm pronosupination. 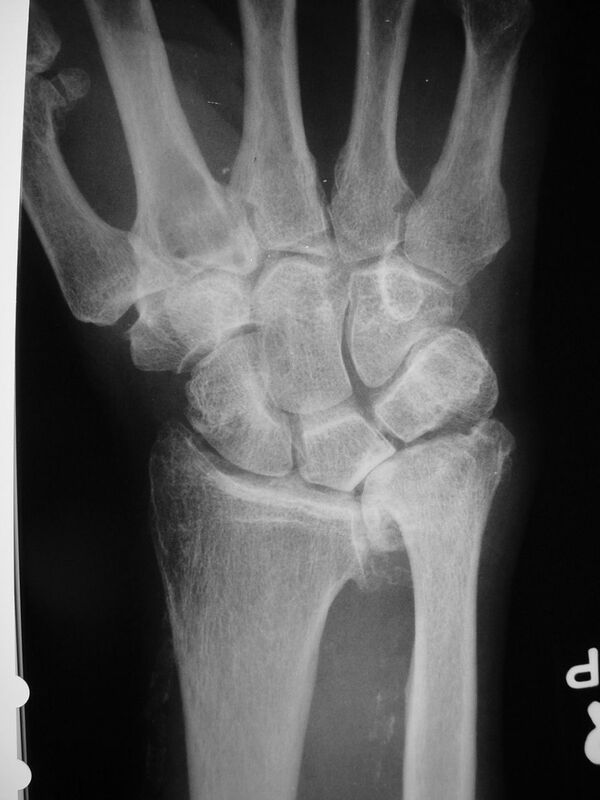 This 80 year old man developed wrist and elbow pain years after radial head excision for fracture. 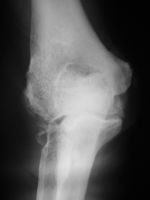 Radiographs show proximal migration of the radius resulting in valgus instability of the elbow, radiocapitellar impingement and distal ulnar impaction. 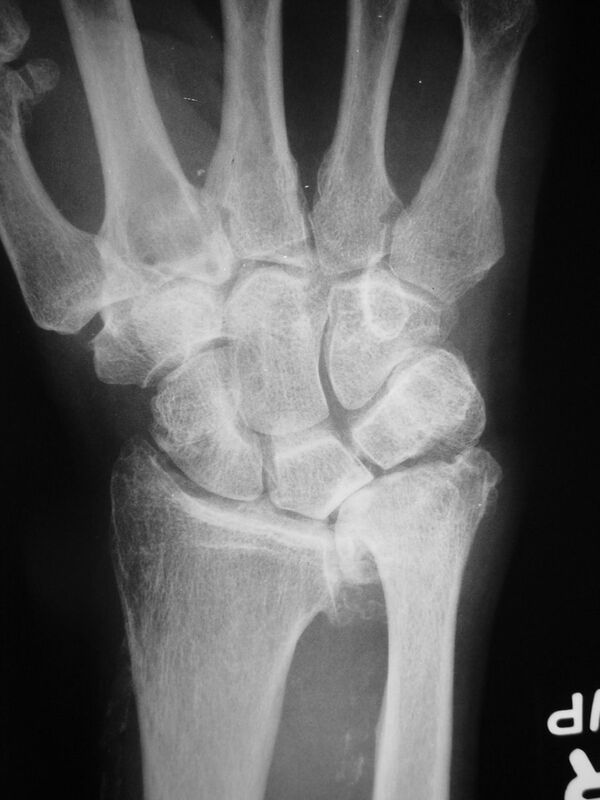 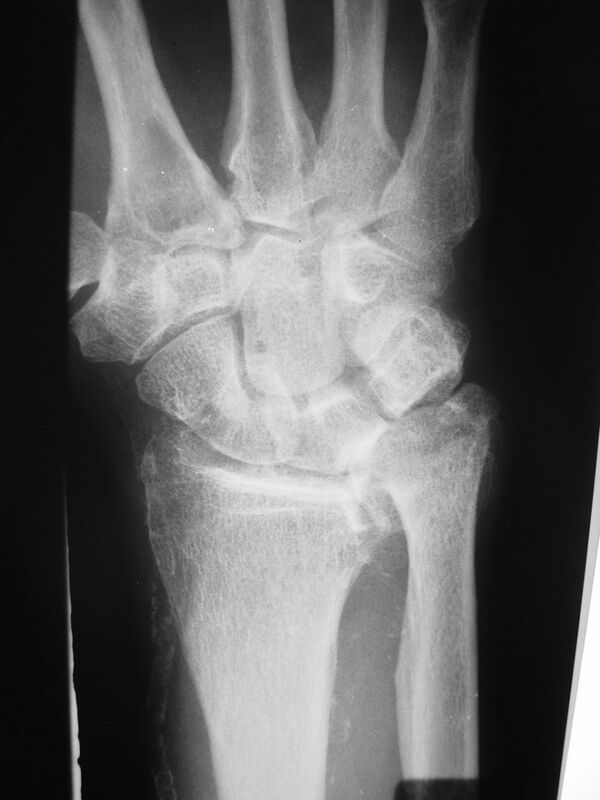 This pattern of longitudinal forearm disruption, proximal radial fracture and dislocation of the distal radioulnar joint, is referred to as the Essex-Lopresti fracture dislocation. 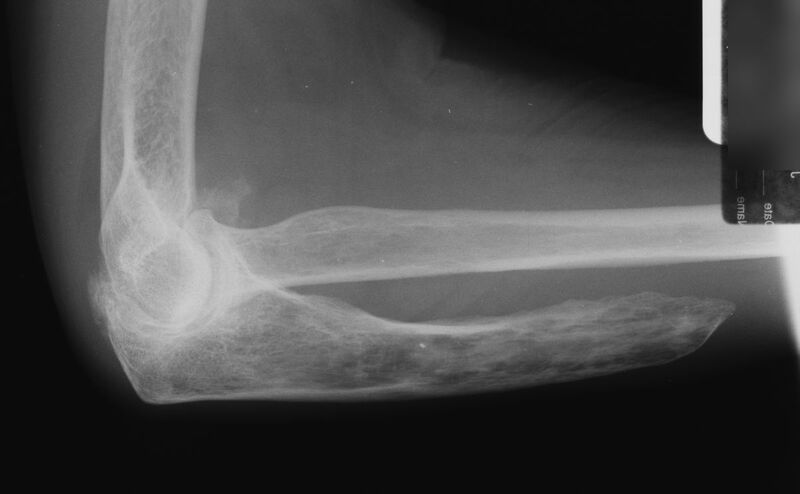 This 74 year old man presented with elbow pain years after wide excision of the central ulna and forearm radiation for a malignant tumor. The abnormal load on the radiocapitellar joint has resulted in degenerative changes.